The Boys and Girls Club at the Youth Center is looking for members, ages 14 to 18 to participate in the Youth of the Year Program! Club winners earn scholarship money and a chance to win at a state level! 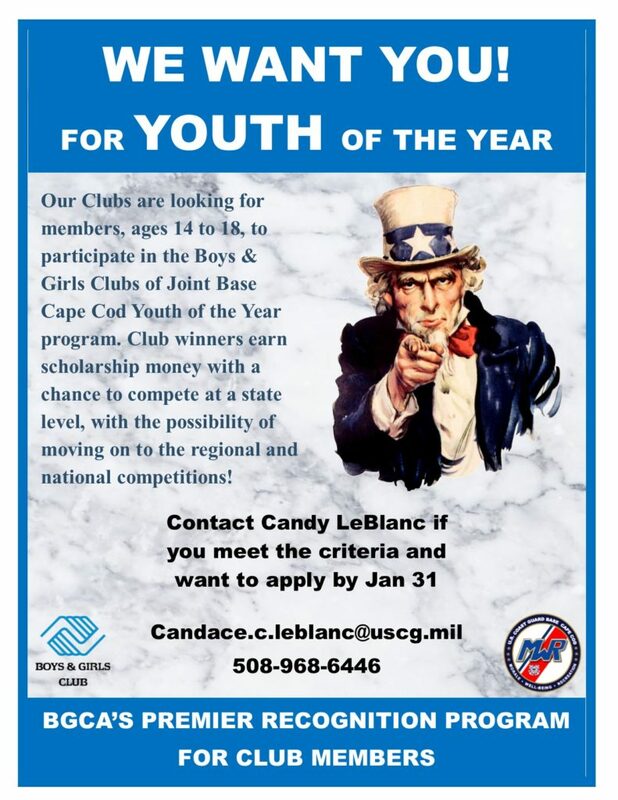 Contact Candy LeBlanc to see if you meet the criteria and want to apply by January 31.